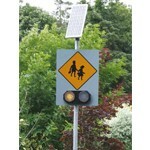 Rennicks offer a range of fully programmable solar and mains powered amber flashing beacons for use on school signs. Fully programmable digital timer provides daily, weekly and yearly control. If provided with the Beacon on/off times, Rennicks will pre-program the timers in advance, up to the year 2030, at no extra charge. 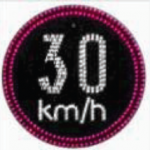 Rennicks LED Periodic Speed Limit signs are designed for use in locations where a Periodic Speed Limit is required – outside schools, in town or villages, in traffic calming schemes or any area where a reduced speed limit is required for a specific period or duration. The signs are fully programmable and can be easily set up to start or stop displaying at pre-determined times and dates to provide daily, weekly and yearly control.